Wisdom of Life. : Makes so much sense! Young King Arthur was ambushed and imprisoned by the monarch of a neighbouring kingdom.. The monarch could have killed him but was moved by Arthur's youth and ideals. So, the monarch offered him his freedom, as long as he could answer a very difficult question. Arthur would have a year to figure out the answer and, if after a year, he still had no answer, he would be put to death. Such a question would perplex even the most knowledgeable man. And to young Arthur, it seemed an impossible query. But, since it was better than death, he accepted the monarch's proposition to have an answer by year's end. The old witch wanted to marry Sir Lancelot, the most noble of the Knights of the Round Table, and Arthur's closest friend! Young Arthur was horrified. She was hunch-backed and hideous, had only one tooth, smelled like sewage, made obscene noises, etc. He had never encountered such a repugnant creature in all his life.. He refused to force his friend to marry her and endure such a terrible burden. But Lancelot, having learnt of the proposal, spoke with Arthur. He said nothing was too big of a sacrifice compared to Arthur's life. And the reservation of the Round Table. Hence, a wedding was proclaimed and the witch answered. Everyone in the kingdom instantly knew that the witch had uttered a great truth, and that Arthur's life would be spared. And so it was. The neighbouring monarch granted Arthur his freedom. And Lancelot and the witch had a wonderful wedding. The astounded Lancelot asked what had happened. The beauty replied that since he had been so kind to her when she appeared as a witch, she would henceforth become her horrible and deformed self only half the time, and be the beautiful maiden the other half. During the day he could have a beautiful woman to show off to his friends, but at night, in the privacy of his castle, an old witch! (If you are a man reading this...) What would YOUR choice be? (If you are a woman reading this...) What would YOUR MAN'S choice be? BUT... please make YOUR choice first before you scroll down below... OKAY? Upon hearing this, she announced that she would be beautiful all the time..
Now... what is the moral to this story? 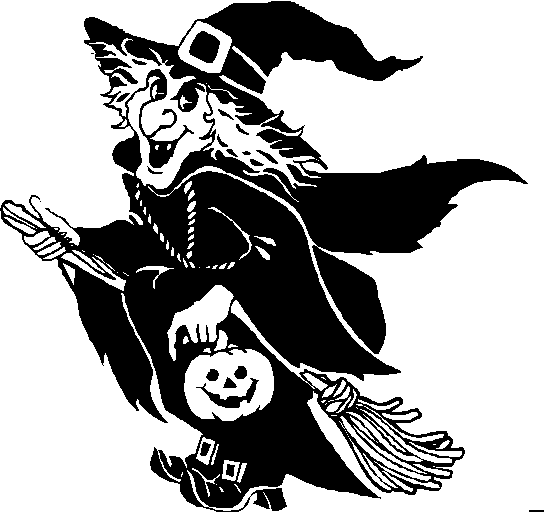 1) There is 'witch' in every woman, no matter how beautiful she is ! 2) If you don't let a woman have her own way, things are going to get ugly ! IT IS EITHER ' HER WAY ' OR IT IS ' NO WAY ' !! Is true! I try to allow little darling 'HER WAY' or I would get 'NO WAY' from her too. Right? I learned from Sir Lancelot to be wise to allow my little darling's "HER WAY". Get a man like him and you would love him forever. Best Of luck my dear. I am glad to see u around again. How is business? Need any help?